On this dog sled expedition you will be exploring Mongolian nature, nomadic way of life and observe the wild fauna and flora in winter season in Terelj and Khentii National Parks. With an experienced Alaskan dog team you will slide on the ice, through endless and peaceful landscapes, in a perfect silence and under the sky. Sled dog is one of the best ways to discover Mongolia in winter, to approach wild animals and live an incredible adventure in the heart of Mongolian winter. Leaded by professional mushers, for beginners or winter lovers, come and enjoy the serenity and the amazing atmosphere of Mongolia! With phones cover, between 25 and 40 km a day, you go from ger to ger. Arrive in Ulaanbaatar and transfer to the Bayangol hotel. After lunch at a local restaurant we will spend some time sightseeing in the capital, including visits to the Bogd Khaan Palace, which is a series of beautiful traditional buildings in which last religious King of Mongolia resided. It is a now museum displaying fascinating artifacts and costumes associated with the King, as well as his collection of European furniture and stuffed animals. Then we will proceed to the Natural History Museum which is highlighted by a rich display of dinosaur fossils unearthed from the Gobi Desert. Welcome dinner and overnight at the hotel. After breakfast we drive to Terelj National Park. The park is located in the Khentii Mountain Range which is 70 km – 100 km from Ulaanbaatar. Gorkhi- Terelj National Park is one of the large untouched natural landscapes of Mongolia. Spectacular rock formations and endless Siberian taiga forest and high granite, rocky mountains, isolated fields, slopes, river valleys are odd in this beautiful National Park. 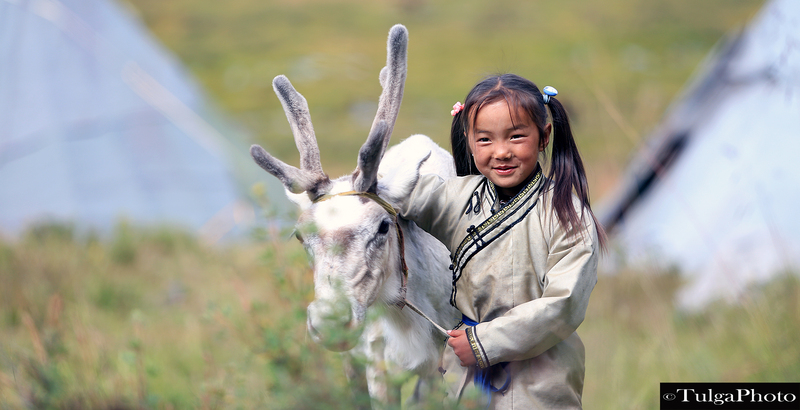 It is common to see nomadic families on the steppes. We visit to local family and meet our dogs and have sledding practice around area. This morning after breakfast we will sled to Buuveit ger camp in Terelj National Park.Our lunch will be at Buuveit ger camp. The camp is located in one of the most spectacular spots in the National park. Dinner & overnight will be at the ger camp. Hike & Dog sled around the camp. We take a trip to Turtle Rock. This is an amazing granite rock, shaped like a turtle, and found in a beautiful side valley. We will have a picnic lunch. We move on Dog sledding to Terelj village, dinner & overnight UB-2 hotel. We will move over a pass into the Terelj River Valley and sled down to the banks of the river were we will reach the tourist resort in hibernation. Dog sled to Gachuurt camp. Dinner & overnight in the ger camp. Today we have a long journey crossing 2 passes before we once again reach the Tuul River Valley. In one of the side valley is the winter camp of Nomads Tours. Today we cross the Bayanzurkh Mountain and cross the road from Ulaanbaatar to Nalaikh and then enter back into the Bogd National park. today we drive back to Ulaanbaatar. Free in the afternoon. Time for you to explore the city and do some souvenir shopping! 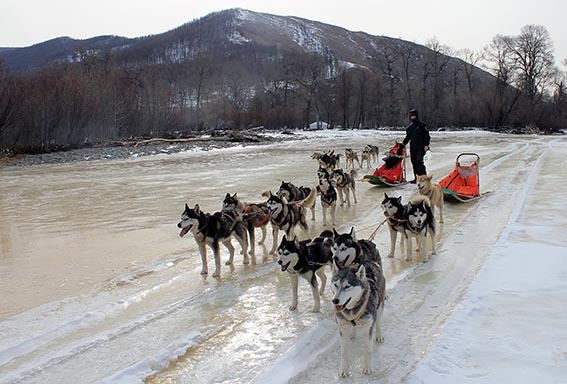 Outdoor and adventure enthusiasts from around the world participate in our sled dog trips. The group size is from 2 to 6 persons. * Keep dry. One of the most important steps in keeping dry is to choose the appropriate clothing. This is clothing made of fabric that does not hold moisture. Cotton is not to be worn outside in winter, as it is extremely absorbent and does not dry fast. It is important that socks and long underwear do not contain any cotton fibers. Appropriate winter clothing is made from synthetic fibers. Synthetics are quite plastic and do not hold water. Choosing synthetics is most important when selecting long underwear. Polypropylene, Thermax, Capilene, or any other name brand synthetic, will not hold water. Wool is also good for this kind of activities, however, it does not dry as quickly as synthetic. Do not avoid wool, but given a choice, pick a synthetic fleece over wool. * Avoid sweating during activities. You will learn to monitor how much insulation your body needs to stay warm, but without sweating. By using layers of clothing you can regulate the amount of insulation and thus regulate your body temperature to the “comfortably cool” state where you are comfortable, but not close to sweating. If you are really bad sweat already, we need to let you keep in door quickly as possible. There are still families around with very warm gers. *Bring clothing with “loft” to hold air. Fabrics include down, synthetic fleece, and wool. This is another advantage to the layering system, as several layers will trap more air than a single thick one. It is very important that there should be plenty of room between layers. Layers that are tight and constricting will also constrict blood flow. Blood circulation is essential to stay warm. * A tightly woven outer layer of nylon or other material will block the wind. *Food and drink are also important for keeping warm. When participating in our trip, you will be burning more calories than you normally do, so you must consume more calories. Fat is the most important ingredient for keeping warm because it contains the longest lasting calories. To keep hydrated you should drink 8 to 10 cups of water each day, small quantities of water consumed at intervals during the day is best. *Physical exercise is also essential in keeping warm. Some exercise, like jogging-in-place, is needed to warm you, during breaks and lunch stops. *Sun protection is extremely important, as the sun reflecting off the snow is very bright. In order to be comfortable on sunny days, try to wear a hat or hood with a brim and/or sunglasses. (Remember however, the most important factor in selecting a hat is its warmth.) Sunscreen on your face and lips is also helpful. One person per sled. We feel that the only way to learn about mushing is to actually be in control of the sled. Our trips are designed to teach you how to mush. Also, from a safety stand point, sleds are much easier to control, and safer, without the additional weight of a person in the sled basket. What kind of dogs do you use for these trips? Primarily Alaskan Huskies have been trained and used as touring dogs with guests for years. They are capable of speed and great endurance and are sociable companions on the trail. Are dogs socialized to people? Children as well? Yes! Some of Joël’s dogs are shy and require time to get use to strangers. Dogs are social animals and they want to please humans. What kind of accommodation will be used? There would be hotel stay in Ulaanbaatar city, Mongolian ger stay during trip to the countryside. How much time will be spent on the trail? The first day, 4 to 5 hours minimum is spent on the trail. Second day, two hours longer. Third day, same as second day. Night runs only done if conditions and interest warrant. How many km do you cover in an average day? The dogs are very fast and easily cover 20 to 40km per day. The number of miles vary depending on the travel conditions e.g. if there has been fresh snow the night before, thus “slowing the trail,” you may travel just the twenty miles it takes to get to your nights destination. If the trail is fast you will take a different route and travel many more miles. What level of physical ability is needed? You must be moderately physically fit– if you can walk several miles and have a sense of balance you can do one of our dogs sled trips. Who actually conducts the trips? 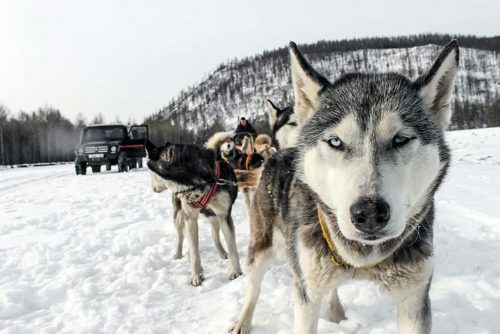 Our trips are a joint venture with Joël RAUZY We provide the https://www.nomadictrails.com/meals and logistical support, Joël provides the dogs, dog equipment and mushers. As with any outdoor activity, dog sledding involves its own natural risks. Careful preparations and thorough instruction minimizes many risks and allows you to drive your dog team safely. Our guides are well trained and experienced in dogsledding and guiding outdoor trips. I’ve learn several excellent stuff here. Certainly value bookmarking for revisiting. I surprise how a lot effort you place to create this type of fantastic informative site.